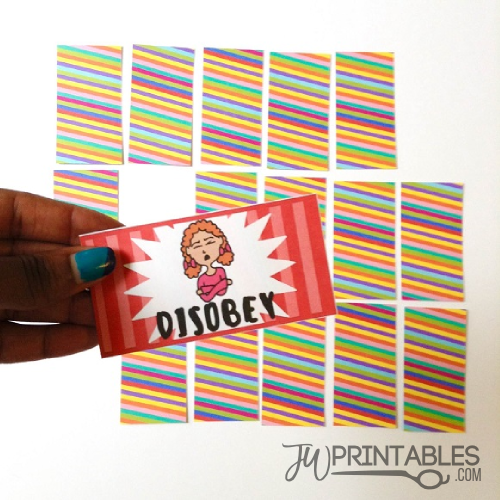 Here’s a fun card game for the little ones! 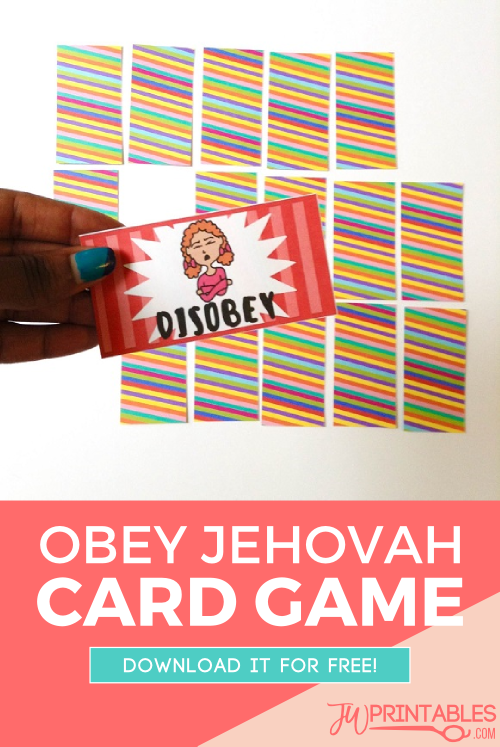 Its called the Obey Jehovah card game and it’s super super simple to play! This one has been in the works for a while, so we’re very happy to be able to release this for you all today. This game is good for kids aged 3 and up. Even adults can play this, its actually really fun for a mixed-age playing field. The game can last from 5 minutes to 20 minutes depending on how quickly the players can reach the objective. 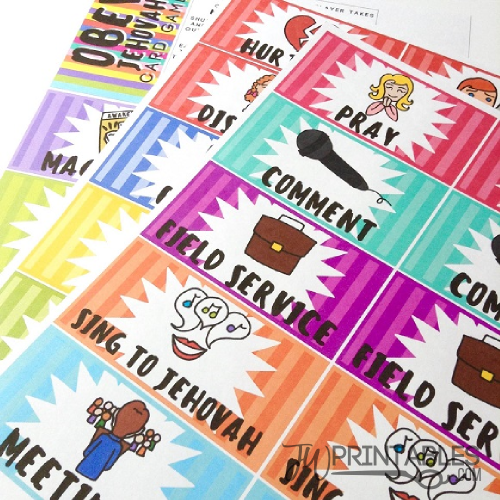 Don’t be surprised if your little one wants to play this over and over! We made the first draft for this a few weeks ago and our little one still requests to play it often. Its very fun! You can get it for free using the download button just below! 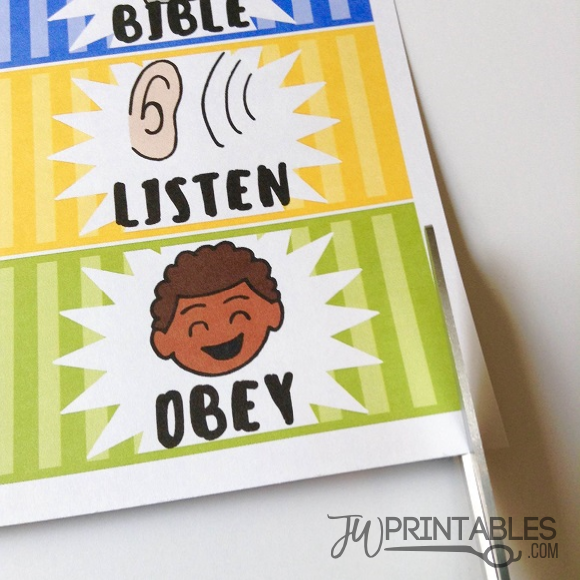 Print out the cards on cardstock. 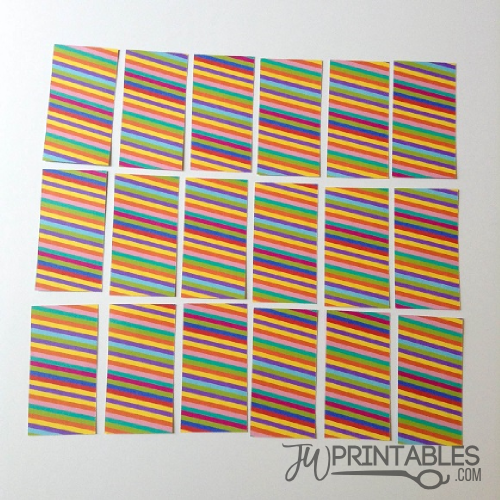 Cut out the cards using scissors! And you’re all done. 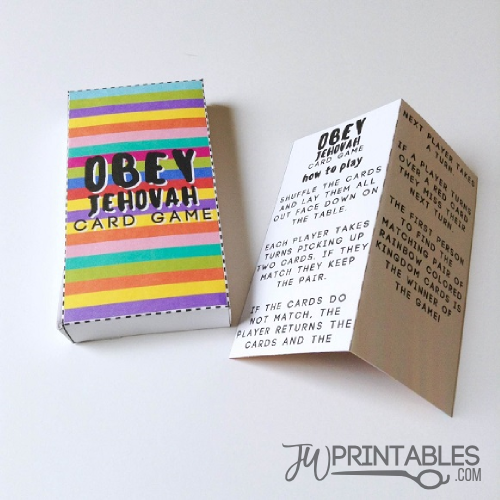 You can also print out and assemble the card holder box to keep your cards in easily. 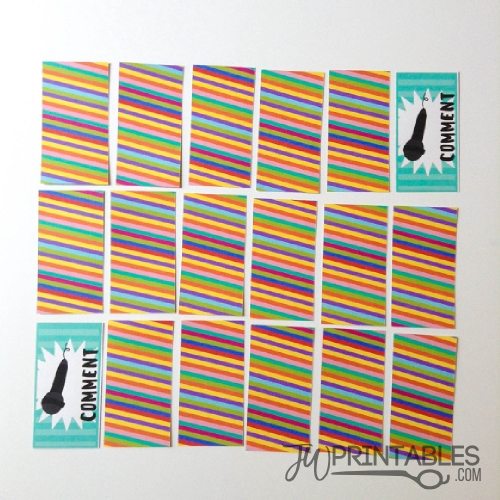 Lay out the cards on a table, face down and striped side up. Starting from the youngest first, each player takes a turn flipping over the cards to find matches. If you find a match, you get to keep the cards and pull them from the table. If a player pulls any red card, they get skipped on their next turn giving the other players a chance to win faster. 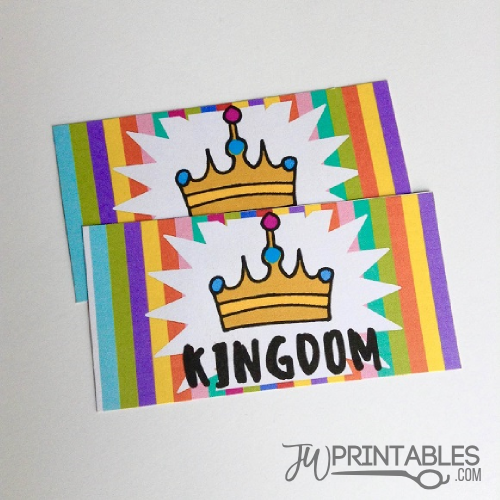 To WIN the game, a player has to find the matching pair of multicolored kingdom cards. No matter where you are in the game, the player who matches up the Kingdom cards automatically wins! The only teenie tiny suggestion I would make is to maybe have a different shade of pink for the Pray card. It’s pretty close in color to the red ones. I’m sure we’ll be able to work around it with our girls since the woman praying is smiling, so that’s good. 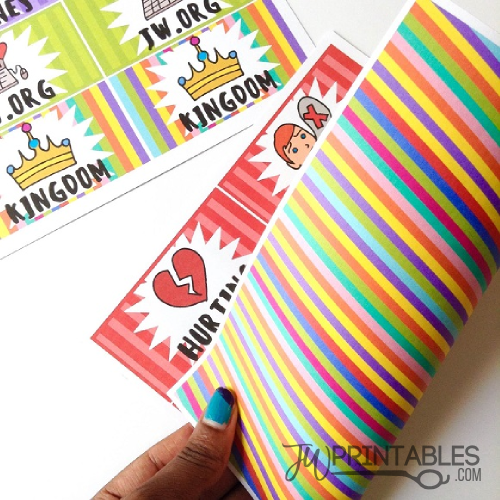 🙂 Thanks again for your hard work on these printables. My family thoroughly enjoys them! Je vous remercie! Et merci de votre visite! 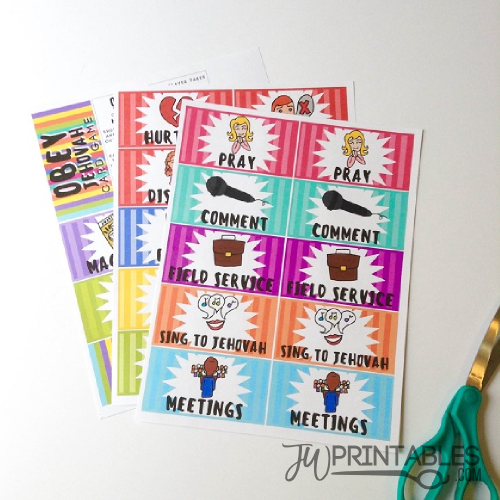 Thank you very, very much for the spanish printables! We appreciate your very hard work! We love your homepage!